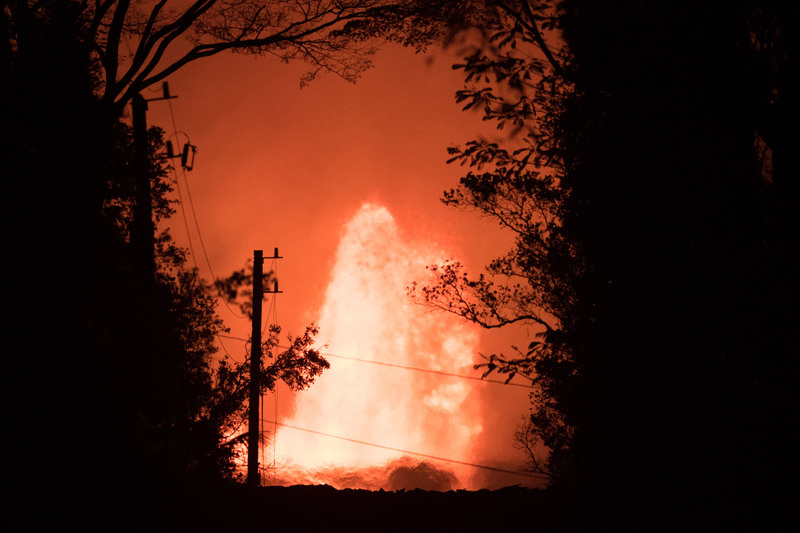 A massive geyser of lava erupts from a fissure of the Kilauea volcano on Tuesday, May 29. Hawaii’s Kilauea volcano erupted in early May, sending a smoldering flow of lava into residential areas on the Big Island. Authorities ordered people living in Leilani Estates and Lanipuna Gardens to take shelter in local community centers. Volcanic vents, or fissures, have cracked open across the area and gobbled up dozens of homes and vehicles. The eruption came after hundreds of earthquakes jarred the island’s eastern side. And since Kilauea's massive eruption, more than 2,000 quakes have struck on or around the Big Island. Kilauea has threatened residents with the eruption of its Puu Oo vent since 1983, according to the US Geological Survey.